It’s not just about smelling amazing gentlemen, it's about discovering YOUR unique scent. Silver Cologne by Mercedes Benz. This fragrance is a woody aromatic scent. A relatively new fragrance. 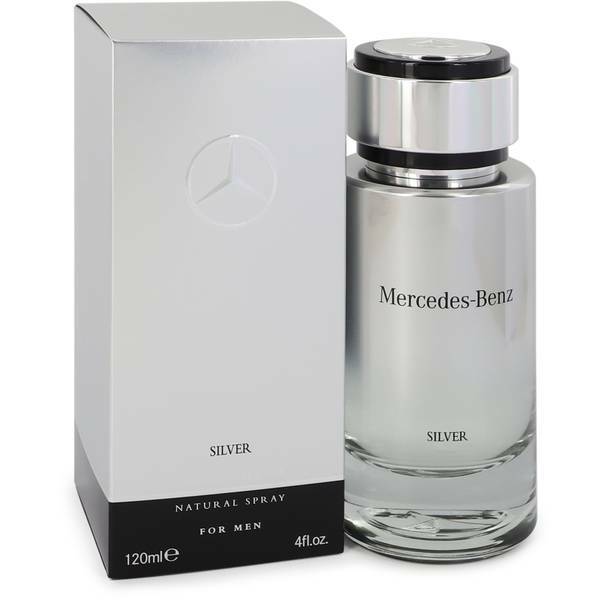 Mercedes Benz’s Silver fragrance line launched in 2017. The nose behind this fragrance is a man named Oliver Cresp. Top notes are bitter orange, grapefruit, and rhubarb; middle notes are pepper and vetiver; base notes are ambroxan; musk and moss. Main Accords: Citrus, Woody, Musky, Earthy, Fresh Spicy, Amber Style: Charming, Smooth, Classical, Masculine Perfume rating: 4.58 out of 5 with 155 votes.